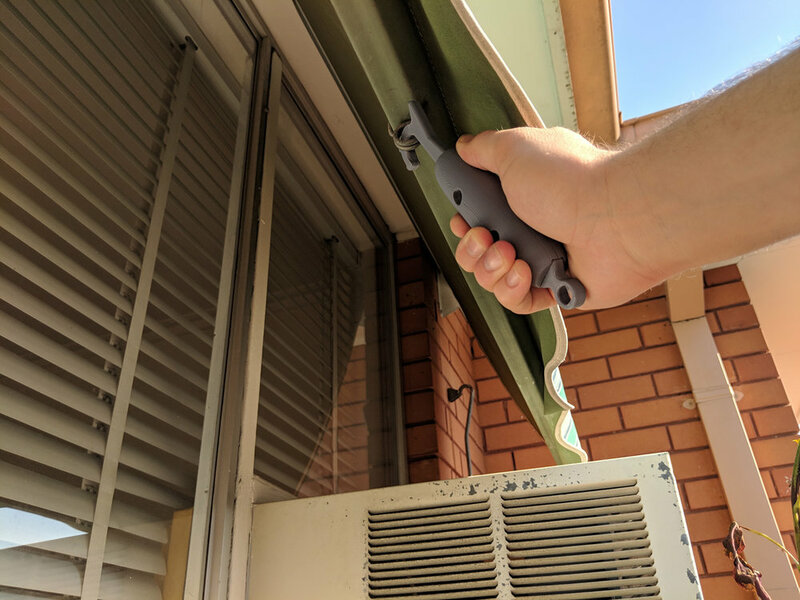 Faced with a gruelling heatwave this summer in addition to the wildly fluctuating weather of Melbourne, it’s safe to say my external blinds have been getting a serious workout. The solution: Make a mini pull hook that can be stored inside. I modeled the shape from the original pole with some thicker sections to account for the weaker material. 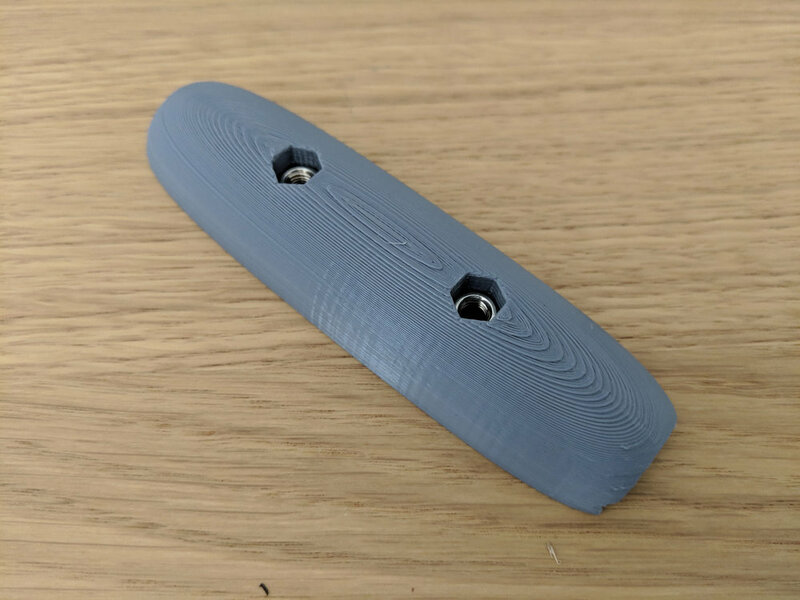 For printing purposes, the design consists of three parts. The central hook, and two halves of the handle. 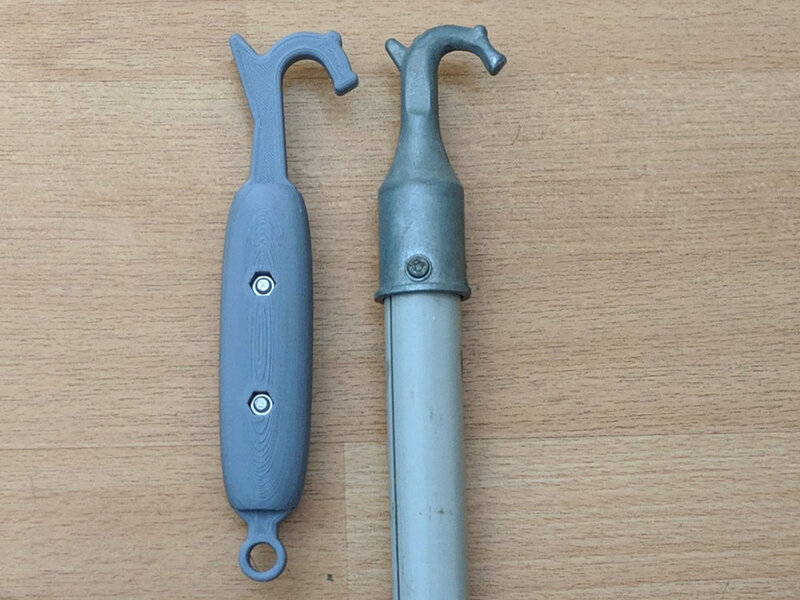 Each half has an indent for the two M5x20mm bolts, with one half featuring a hexagonal hole that stops the nut from turning when being tightened. The hook works well, however it is a little tighter getting in and out of the loop because of the thicker sections.